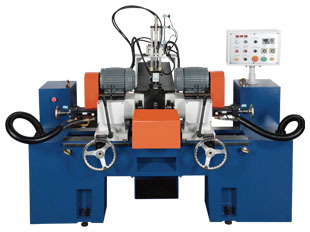 Designed and engineered for chamfering and trimming inner and outter end angles on circular pipe or bar stock at one time, providing efficient and precise performance. Delicate clamping vise and cutter head ensure high concentricity of results. 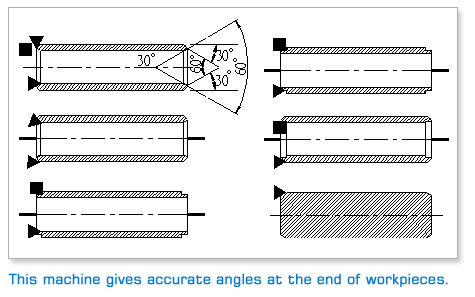 Specially designed cutter head and standardized cutter make cutter adjustment easy. Motion cycle includes automatic material infeed through a channel (automatic feeder is optional). Automatic cutting feeding/retracting and automatic workpiece outfeed. Continuous motion cycles provide high machining speed, high accuracy, reduced labor requirement while greatly upgrading productivity.